Panera Bread is a company that cares about the simple things: freshly-baked breads, imaginative pairings, a warm place to gather, and supporting our local neighborhoods. At your local bakery-cafe, bakers spend their nights baking breads to ensure your morning bagel or your afternoon sandwich is fresh. Panera strives to bring clean food to the table; free of artificial preservatives, sweeteners, flavors or colors, the food is made to make you feel good. Their produce is sourced responsibly and gives farm-to-table a new definition so that you can sink your teeth into their fresh, seasonal items or year-round classics. From gluten-free to vegan, Panera dedicates their menu to giving even the pickiest of eaters amazing options. Panera gift cards are available to be redeemed in person at any of their 2,000 locations in-store or online through their Panera Bread App. Give a gift that is never forgotten. National Gift Card is the best place for you to order Panera Bread gift cards and eGift cards in bulk. Experts in all things gift cards, we will set up your gift card and eGift card solutions program today. Please contact us for more information on Panera Bread bulk, direct-to-recipient, or individual gift card fulfillment for your gift card program. Contact us online or call us at 888-472-8747 today. This Panera Bread gift card (“Card”) contains no value until activated by cashier. Usable up to balance only for purchases of food or other products at participating U.S. Panera Bread bakery-cafes. 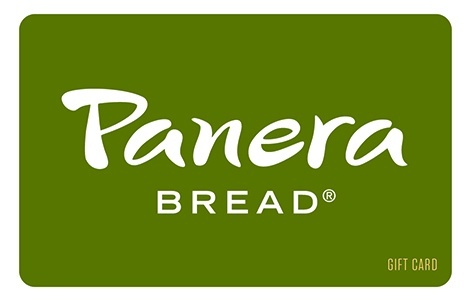 For complete terms and conditions (including arbitration agreement and class action waiver), which are subject to change, or for balance inquiries, please visit panerabread.com or call 1-877-218-5366. This Card is issued by and represents an obligation solely of Bakery Cafe Cards, LLC or, if sold by a Panera franchisee, such franchisee. Reloadable. Does not expire and no fees apply. Not refundable or redeemable for cash unless required by law. Not redeemable to purchase another gift card. Valid only if obtained from a Panera Bread bakery-cafe, panerabread.com or an authorized distributor. Not valid if obtained from unauthorized sellers, including through Internet auction sites. The value of this Card will not be replaced if the card is lost, stolen, destroyed, altered or used without your permission, except in limited circumstances. Purchase, use of acceptance of this Card constitutes acceptance of these terms and conditions. For Panera Bread locations, please visit panerabread.com. ©2017 Panera Bread. All Rights Reserved.